The rise of the Korean wave reached a new peak in Taiwan, with number of Taiwanese visiting Korea surpassing 620 thousands people in 2014, a staggering 20% YoY growth. This wave of Korea popular culture is not only hitting tourism and entertainment, but is also finding its way into Taiwanese people’s daily life. Kantar Worldpanel Taiwan latest research showed that in recent years, Korean FMCG brands have been showing impressive growth in Taiwan’s FMCG market, marking their presence in various categories including beauty, hair, instant noodles and even snacks market. Last year Taiwan’s FMCG market suffered immensely from the chain of food safety events, causing the purchase confidence for food sector to hit an all time low, even the non-food sector showed a slow down in growth. However despite this hardship, Korean brands were able to thrive in the market; take shampoo for example, the market had been showing flat performance in 2013, but the in introduction of Korea brands Elastine and Ryeo in 2014 had demonstrated a phenomenal growth, attracting more than 660 thousands female buyers between age 15-55, and lifting the shampoo market sales growth to an impressive 7%. This success can be attributed to the Korean product’s unique product selling point, which focused on fragrance and Korean formula, as well as strong spokesperson, electronic word-of-mouth and active marketing exposure after entering the Taiwanese market. Amongst all the categories, performance of the Korean brands in the beauty market was especially impressive, contributed by their product innovations (ie. CC cream, cushion foundation etc.) and wider availability, with more leading brands such as Innisfree and too cool for school setting up shop in Taiwan; Kantar Worldpanel’s data pointed out that in the makeup sector, four out of the five fastest growing brands being Korean, including popular brands such as Laneige and Etude house, lifting total Korean brand market share to over 8% in the scattered makeup sector. Furthermore, the popularity of Korean beauty brands is penetrating female buyers of all ages, whether it be beauty or the hair sector, data has shown strong growth in all ages, with 26-35 the group of highest importance. As for the food sector, the food safety events had seriously impacted on categories involved, such as the instant noodles market which suffered a downfall of 7% in sales. However the Korea brands, with Shin Ramen as the leading brand, was able to double in growth despite the market hardship. Snacks market was another category that the Korea brands excelled in, although their market presence is still relatively small compare to other major categories, the impressive performance cannot be ignored. So what contributed to Korea brands’ success in Taiwan? Other than the appeal of unique product lines at an affordable price, combination of strong storefront marketing and popularity of k-pop culture (ie. TV drama, music etc.) were to thank for. 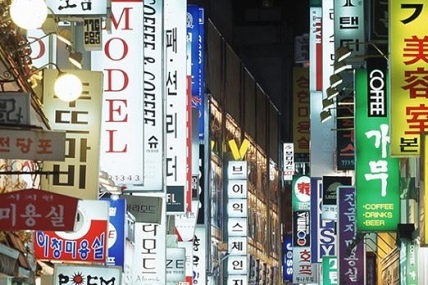 Kantar Worldpanel pointed out that Korean brands’ smart utilisation of various marketing resources including social network marketing, allowed them penetrate consumers of difference age group and income, and maximise sales potential to the fullest while building solid brand images at the same time. Their strong integration of production and marketing is certainly a strong role model for the FMCG brands.